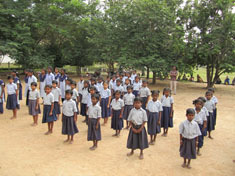 Gnanodaya school operates with minimal facilities today. We strive to improve the facilities and support for the children. The donations we receive will be used towards the operation of the school and future developments for the school.